Tallulah, who we’ve started calling ‘Lula’ around the house, is a 9month blue heeler puppy full of energy, love and an eagerness to please. She hails from Houston and has taken a real liking to the snow! Upon first meeting her you’ll be greeted with a wagging tail and lots of kisses. She even tried to kiss the cat at her foster home (a mistake most dogs only make once with our cat). 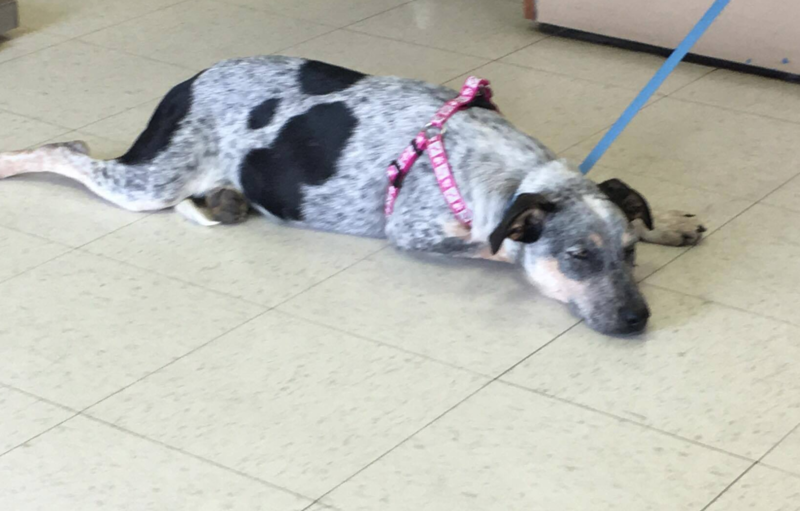 Tallulah is still a puppy, under 30lbs, and combine that with a blue heeler you’ve got a pup that needs various outlets for that energy. We take her on 3 long walks a day right now and have a few chew toys to keep her mind active while we’re working. She’s very intelligent and eager to please, which means she’s highly trainable. Couple that with food motivation and you’ve got a DREAM DOG as it pertains to training.